One-ply cotton and polyester-blend crocheted bandages secure dressings, I.V.s, and splints. They measure 3.7 m (4⅟₁₀ yd.) in length. Bandages hold securely to any body contour for movement. The absorbent, low-linting bandages stay in place with minimal taping. 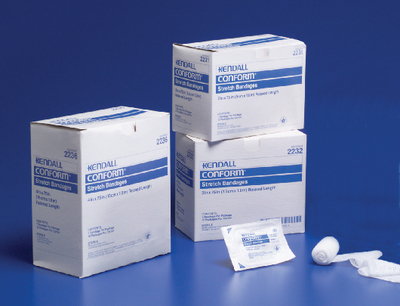 Packaging: Nonsterile bandages are bulk packaged. Sterile bandages are individually packaged in soft pouches.